While eating breakfast on the penthouse balcony of a Bahamian luxury resort, I can’t help but marvel at how I reached this point. My six-day itinerary on the island of Great Exuma reads like a dream come true. Free penthouse accommodations for our entire stay. Free golf at the Greg Norman-designed, 18-hole course featuring seven ocean holes. A free private tour of the Exuma Cays on a 36-foot catamaran. And a free Italian send-off dinner at a neighboring beach resort to cap our final night on the island. Not that long ago I lived a nine-to-five existence reviewing resumes as a corporate recruiter in Minneapolis, Minnesota. Today, I’m exploring some of the most beautiful destinations in the world on the heels of diving headlong into a golf and travel writing career. My journey started back in 2010 when my wife and I took our first trip to the Caribbean. I fell head over heels in love with the turquoise water, white-sand beaches, and palm tree existence. The experience left me thirsty for more, so I decided to find an excuse to return to that part of the world as often as I could. The following year I took a three-day travel writing workshop in Chicago. I listened and learned from the experts. I reached out and made connections with other travel writers. And I discovered the different routes to getting published; it turns out that big-name magazines are only a small part of the vast travel writing landscape. This gave me the confidence and foundation I needed to take the next step. I took a chance and emailed the golf professional at the only 18-hole course in the Turks and Caicos. I boldly described myself as a golf writer and set up an interview. Game on. Now all I had to do was ask questions, write an article, and get it published. And I did. I sold the final product to a magazine that gets distributed to all the hotels on the island. Gradually, I acquired enough article clips for my portfolio to secure more lucrative writing assignments and even a few press trips along the way. An editor for a magazine in which I placed several golf course articles asked if I was interested in representing her publication on a press getaway to the island of St. Thomas. It was happening. I secured a writing trip in which everything was on the house. I’m talking free airfare, free 5-star accommodations, free dining, and free excursions. Having established myself as a golf writer, I realized that it wasn’t such a big jump to try other aspects of travel writing. 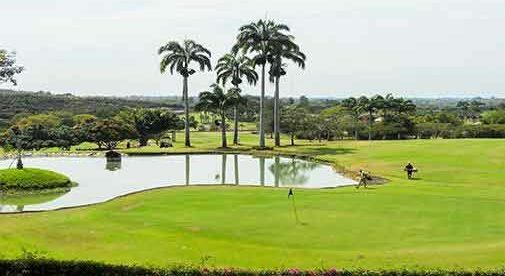 It dawned on me that most of the high-end golf courses I was writing about were situated on or next to luxury resorts. This led me to begin writing about hotels, villas, and restaurants. Pretty soon my portfolio reflected as many luxury hotel or resort articles as golf. My assignments now include a wide range of subjects, include yachting, luxury spas, Michelin chefs, pilots, beach bar owners, sommeliers, photographers, villa owners, and even an island president. Golf writing still keeps me occupied too. In addition to many U.S. destinations, I’ve taken international golf press trips to Costa Rica, Panama, Canada, Mexico, and the Dominican Republic. Many of these courses were designed by the top names in golf, including Jack Nicklaus, Pete Dye, Robert Trent Jones Jr., Rees Jones, and Greg Norman. As I sip coffee on the penthouse balcony and gaze at the turquoise waters of the Caribbean Sea, it’s hard to disagree with the old proverb, “life is good.” Since shifting from corporate recruiter to travel writer, my balcony and fairway views of the world get a little better every day.